How do I create a syllabus as a webpage using "cut and paste" from a document? Sakai Guides and DocumentationSakai Complete User Guide SyllabusHow do I create a syllabus using cut and paste from a document? Enter your syllabus title and paste text. In the "Add Item" window enter the syllabus title and click the Paste from Word button. Tip: Using the Paste from Word option will remove any Word-specific code from your pasted text. Paste the text into the Rich Text Editor . Use Ctrl+V (Windows) or Command+V (Mac) to paste your Word document into the Rich Text Editor. 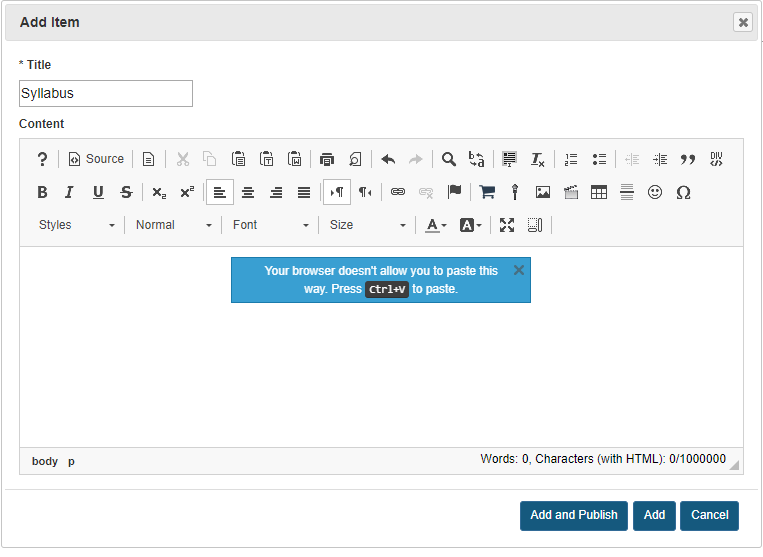 Zoom: Make edits to the text in the Rich Text Editor. Review the text to make sure it appears as you intend. 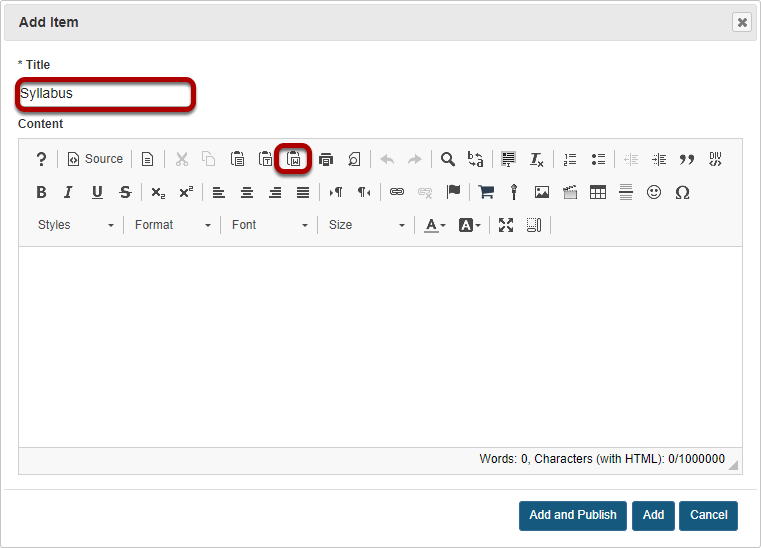 Make any edits using the formatting icons built into the Rich Text Editor. When you are done, click Add and Publish. Note: If you need to make changes to your content after publishing, see How do I edit Syllabus items? for more information on editing. Prev: How do I add my syllabus as a file attachment? 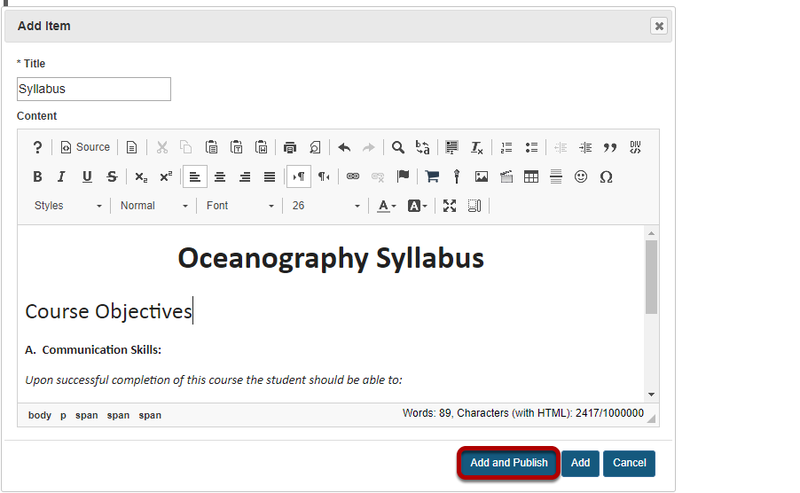 Next: How do I edit syllabus items?